Growth Pattern: Star Rover shows two main phenotypes. One short and fast finisher with infinite frost and a larger one with sturdy satellite branching with potential for larger than average yields. The fast pheno finishes in around 60 days and the larger pheno is happy to be taken to around 80 days. 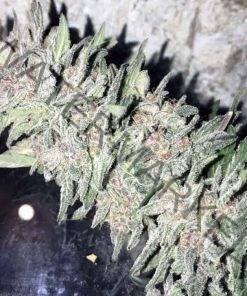 Overall this is a very forgiving strain that responds well to nutrients and is very easy to grow. Star Rover takes its eating habits from the Spiritwalker mother. 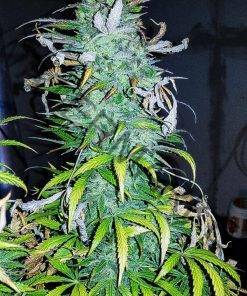 She requires heavier than normal feeds, especially nitrogen in early and mid flower. Main cola dominant with nice even side branching. 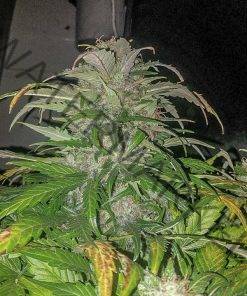 Buds are extremely calyx centric, very frosty and some nice colours of orange, purple, yellow, and green. Reported Effect: spacy and euphoric – hits immediately behind the eyes and continues to climb into intense spacy head high, but clear enough to be active and social in moderate doses, overindulging may lead to roller coaster day dreaming couch-lock. You can expect a rich and appealing fruity/skunky aroma, a sour citrus taste and a really powerful long lasting euphoric high. 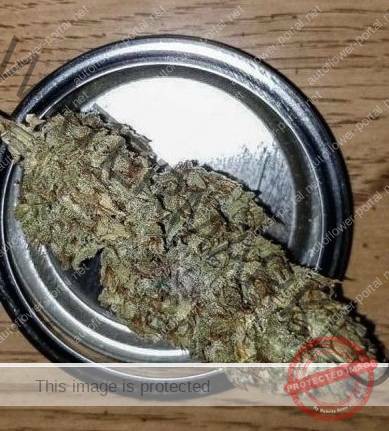 Reported benefits: Anxiety and paranoia relief, anti-depressant, muscle relaxant, creativity, excellent for meditation.